Click the Can't access your account link. Enter your First Name, Last Name, and Date of Birth. Once this information has been submitted, you will receive an e-mail with the username. This message will be sent to the e-mail address that is registered with the practice. Note: When logging in to the healow application, please search for your practice with the code listed on your Patient Portal website in the Practice/Provider field, and log in. The application is case sensitive, so it is important that you enter your username and password exactly as it displays. Your credentials will be the same as your Patient Portal account. The following image shows an example of a practice code. Once this information has been submitted, you will receive an e-mail with the password reset link. This message will be sent to the e-mail address that is registered with the practice. Click the password reset link from your e-mail. You will be asked to enter your username and answer the security question. After resetting the password, please log in. 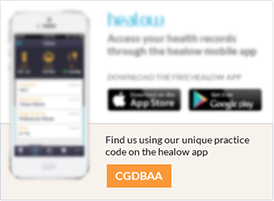 To search for your practice before logging in to the healow app, please use the unique practice code that has been assigned to your practice. The practice code is a six-letter code and can be found on the home page of your practice's Patient Portal website. 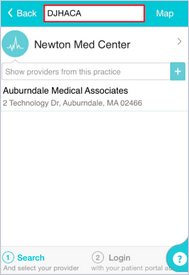 Enter the code into the "Search by Provider Name or Practice" box. Refer to the example below. Please take a moment to complete the details below so that we can provide you with the best possible service and support. To improve our response times and better service your needs, we ask that you provide us with as much information as possible. What is your practice name? What is your doctor's/practice's address? What is your doctor's name? What is your Patient Portal website? Please tell us the issue you are experiencing, or enter your questions/feedback for us in the space below. Include as much detail to expedite the process. If you have already received a response to your question via e-mail, use that e-mail to respond to us rather than this form. Thank you. How did you discover healow? How would you rate healow for appointment bookings? Would you recommend healow to others for appointment bookings? In your opinion, what changes would improve the app? How would you rate healow for viewing and printing records? We have received your inquiry and will be in touch shortly. Thank you for choosing healow and we look forward to speaking with you.